Travel from Marrakech to Sahara Desert on a 4×4. Pass through the Ksar of Ait Benhaddou, Ouarzazate and Oasis Fint. Going through the High Atlas Mountains. From the imperial cities to the magical Sahara desert … Morocco is a country full of breathtaking landscapes and welcoming, friendly and humble people. Here we find new meanings on 1001 nights mastery…. It is a country for everyone from backpackers looking for adventure to those who prefer the luxury of the most beautiful riads. It is color, adventure, adrenaline. It is heat, rhythm, emotion … is everything and it is so close. 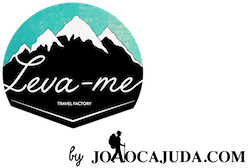 In partnership with Marrocos.com, LEVA-ME by Joaocajuda.com, will take you to the most beautiful places in Morocco, to introduce you to wonderful hotels, climb the highest dunes of the desert and show you the oasis of thousand palm trees. If you like adventure and fun, this tour is ideal for you! Come with us on a journey that we promise you that’s going to be unforgettable! Salam Aleikum! Welcome to Morocco. Our drivers will meet you at the airport when you land and will transfer you to the hotel to meet the rest of the group. Free time at leisure. Departure from Marrakech in the morning towards the High Atlas, passing by Tizi n’Tichka (2260m altitude) followed by a stop for lunch. Already on the road, we will find the imposing Ksar of Ait Benhaddou UNESCO in Ounila valley, dotted with small Berber villages. We’ll visit the Film studios where are filmed dozens of Hollywood movies. Dinner and overnight in Ouarzazate. We will leave early in the morning to start the unknown South Route from Ouarzazate to the village of Nkob crossing the Saghro Mountains and Draa Valley. Also, Berber villages, mountains and magnificent oasis make this day an unforgettable experience. We’ll stop for lunch, but before starting to eat there’s a pool waiting for a quick dive… We follow the way to the desert and set off a camel caravan for 1 h until we reach the tents in the middle of the dunes where we will sleep. We will have a wonderful dinner and music. After the party check out the stars as you’ve never seen. This day is to discover the Sahara Desert, one of our favorite places. We’ll wake up early to climb the highest dune and watch the sunrise. After breakfast, we’ll ride the dromedaries and go back to meet our jeeps. Let’s make an amazing tour full of adrenaline around the Erg Chebbi dunes. We´ll stop to visit the nomadic people and take pictures with beautiful landscapes. Back at the hotel, we have the afternoon to relax in one of the most amazing pools I know. I sure you the sunset will be unforgettable. The day is free. You can enjoy the swimming pool, stroll through the dunes, rent a quad bike… etc. It’s the perfect day, in the perfect place, to disconnect ourselves from the world. We’ll wake up erly, put our backpacks in the jeep.. it’s time to face the road. Today is the day we’ll visit the famous Gorges du Todra and see the amazing cliffs and gorges 200 meters high. Followed by Du Dades Valley, or the road of Thousand Kasbahs as it is also known. On the way to our next hotel you’ll be amazed by the landscapes. The dinner will leave you drooling. We’re going through the beautiful Valley of the Roses and cross again the great Atlas. We’ll arrive to Marrakech on time to explore part of the medina. We´ll have dinner and sleep in our wonderful Riad of the first night. This day is to know the corners of the giant medina. We rely on the help of a guide who will take us through the streets and alleys, show us the artisans, the tapestries, the spices and much more… The free afternoon is the perfect to do the shopping, I am sure it will be a lot of shopping. At the end of the day we’ll have our farewell dinner. Day to pack and head home … Hopefully you will take in you backpack unforgettable moments. After all, travel is to collect memories. All accommodation in hotels (total 8 nights). Transport in Jeep 4 × 4. Camping in the desert in luxury tents. Entry and guided tour in the movie studios. We will be staying in double rooms. If you are traveling alone, you will be paired with another traveler of the same gender. In some cases you may need to share a triple room. If you are traveling as a couple, you’ll get your own private room together. You can be alone in a room by paying an extra fee (430 €) and subject to availability of rooms. The hotels we stay in are usually family and with few rooms, therefore it is impossible to ensure that there are single rooms on the date you make the request. What kind of hotels are we staying in? All hotels have been handpicked by John Cajuda. We will be accommodated in various types of hotels, from beautiful riads in Marrakech, simple hotels in small villages, Berbers camps in the desert and luxury hotels with fantastic pools. (4 ****). No, you’ll be responsible for your own airfare to and from the tour. Of course, most of our travelers sign up individually. They go to Morocco alone and come back with another 20 friends. It depends on the demand for that specific tour, but minimum 11 and maximum 23. No, the meeting point is in Marrakech. So you have the flexibility to choose the time of the flight that most please you. How do we meet in Marrakech? We’ll take the data and flight schedules of all travelers. When you arrive Marrakech you will have a driver waiting at the airport. He will take to the Riad where the tour leader John Cajuda or Mariana Vaz will welcome to Morocco. Why are lunches not included? Well, because I like to give you some time to be alone and seize every second of your way. So lunch is always free, of course you can have lunch with me but if you want to go sightseeing, rest or eat somewhere else, you can. What is the estimated expenditure for food? What If you want to go to Morocco a few days before, can I book accommodation with you? Yes, if you decide to go a few days early or stay more days after the tour is finished, you can book those extra nights with us. Portuguese and Brazilians do not need advanced visas. The visa to Morocco is obtained at the airport upon arrival. It has no cost, but you will have to present your passport valid for at least 6 months after the date of the end of the trip. What is the best month to visit Morocco? It largely depends on each person, there are some who like heat, others prefer cooler seasons. Usually January, February and March are the coolest months (5 ° C to 15 ° C), it is a great time for those who do not like heat. One of the good things in this time of year is that the mountains have snow and we can see a Morocco with very diverse landscapes and more vegetation. You can also use the swimming pools but it takes courage. April is a nice month, nor cold nor hot. May and September are warm months, the country is drier but is the best time for those who want to use the pools. In August there are no tours because it is too hot for the trip to be enjoyable. As the rain … Morocco is a country with little rainfall, nor is there any month that is more rainy, it’s all a matter of luck. As many as you want, if there’s availability. No, otherwise we visited the country many times. Obviously you need to have the normal care as you have in your cite, like to not leave the bag open … otherwise you’ll feel very safe. Much of the trip is made by small villages and towns where crime is almost nonexistent. I still have doubts. Can I contact you?